Intro: This simple meditation fosters Pratyahara, also known as quieting the senses, and the ability to focus one’s attention in a relaxed manner. Antar means in her and Trataka means to gaze steadily. Inner gazing leads to increased relaxation and a greater ability to be completely focused. To prepare, You will need a lighted candle with a steady flame. This simple guided meditation for concentration uses Pratyahara to quiet the senses and focus your attention in a calm and serene way. The fifth element in Patanjali’s Ashtanga Yoga, Pratyahara acts as a way to withdraw the five senses from external objects and refocuses them on a mentally-created sense of relaxation. Take in the calm and steady your gaze with this quick and effective meditation. Marshal your focused energy to achieve whatever goal is ahead of you in a holistic and natural manner. With only a lighted candle and a steady flame, this audio meditation can help you on your path to an integrated spiritual life that includes mindful and caring living. 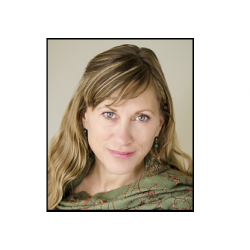 Lauren Toolin, a Level Two Senior ParaYoga Teacher, has been teaching for the last 20 years with the belief that yoga helps create endless potential for a happy, healthy, and loving existence. Her guided meditation for concentration will allow you to tap into your inner gaze. Pranamaya Yoga Media allows you to choose the most useful and effective meditations for your daily use. Whether you are a first time yoga practitioner or an experienced yogi, our media helps you enhance your ability to concentrate and focus.